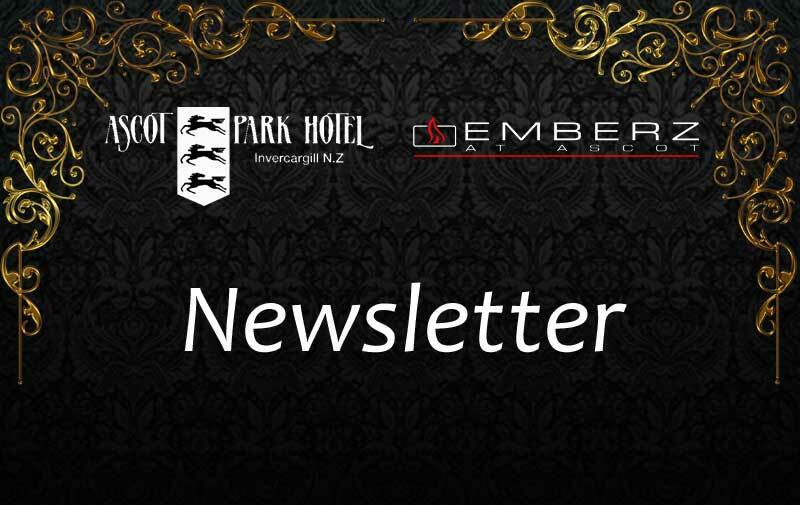 Welcome to our latest news letter updating you with all the exciting events here at the Ascot Park Hotel. 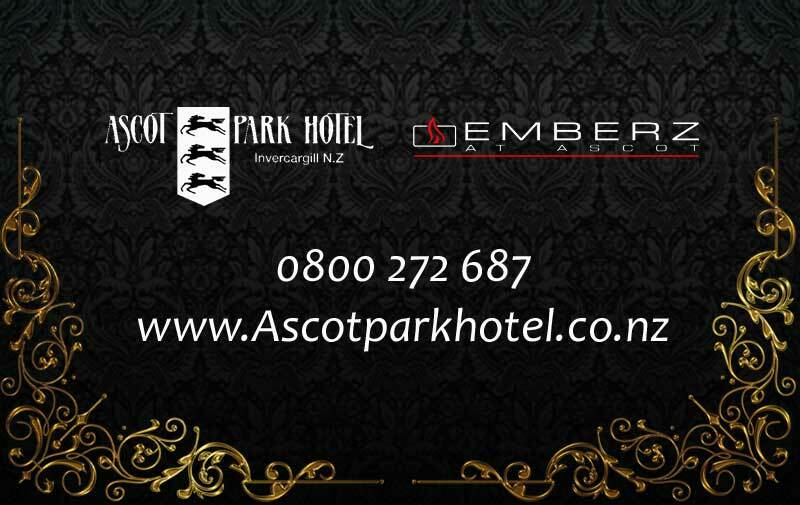 The Ascot Park Hotel was very proud to once again support the Ronald McDonald Family Rooms Supper Club fund raiser. 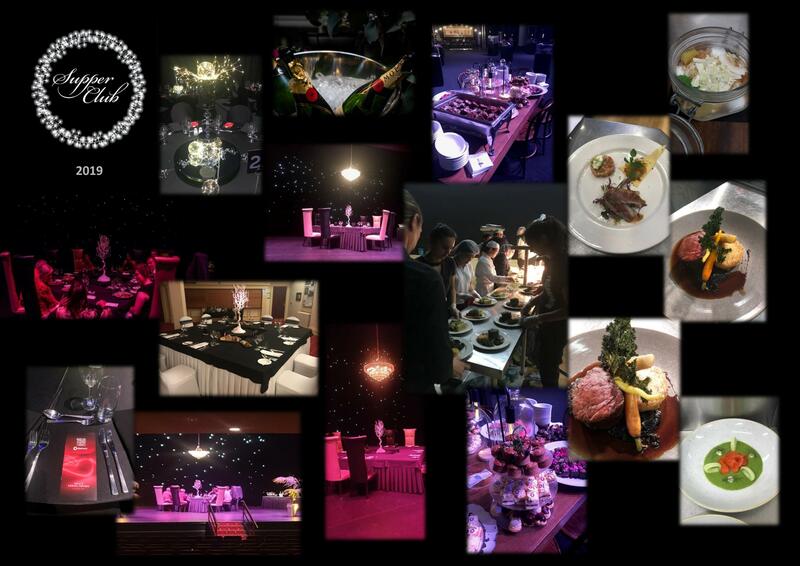 We catered for two tables of 8, both at the beautiful Civic Theatre, one table in the foyer and one set on the stage. All the team at the Ascot donated their time for this charity event which is in itself such a wonderful gesture. The guests were treated to a Four course meal with wines and beers included. All proceeds go directly to the Family Rooms at Southland Hospital, a very worthy cause. 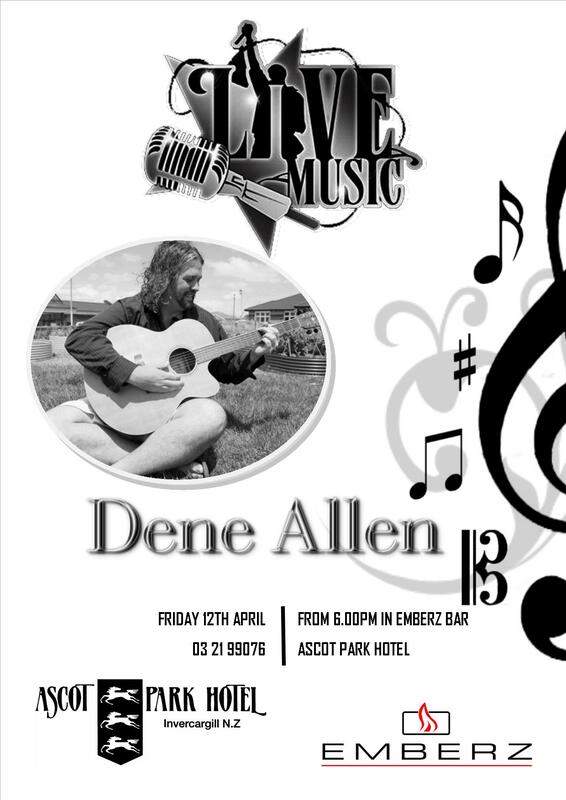 This Friday we welcome back Dene Allen to Emberz Bar, what better way to wind down at the end of the week. Enjoy a platter, craft beer, wine or coffee. Last Friday we bid farewell to one of the Ascot family’s super stars! Sally Anderson, our day time Function Supervisor. 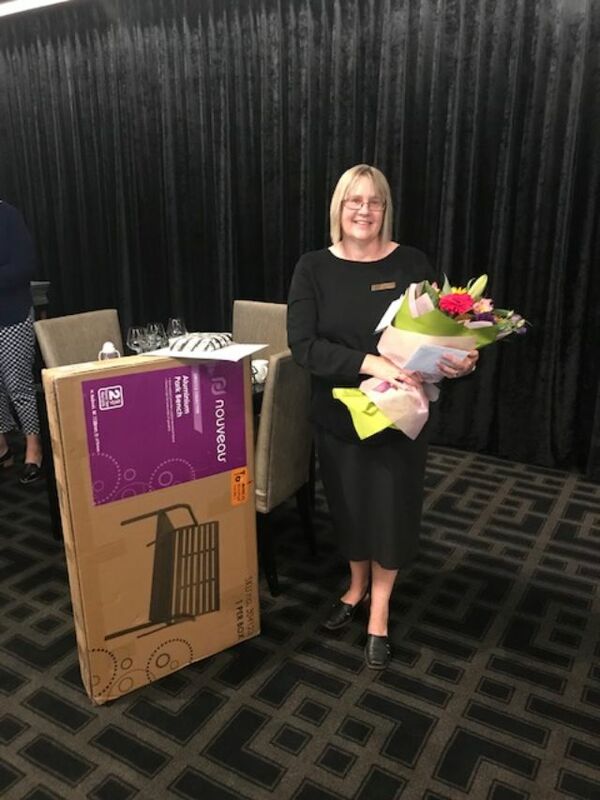 Sally was with the ILT for over 30 years, we are sad to see Sally leave the Ascot family and wish her well in her new endeavours. 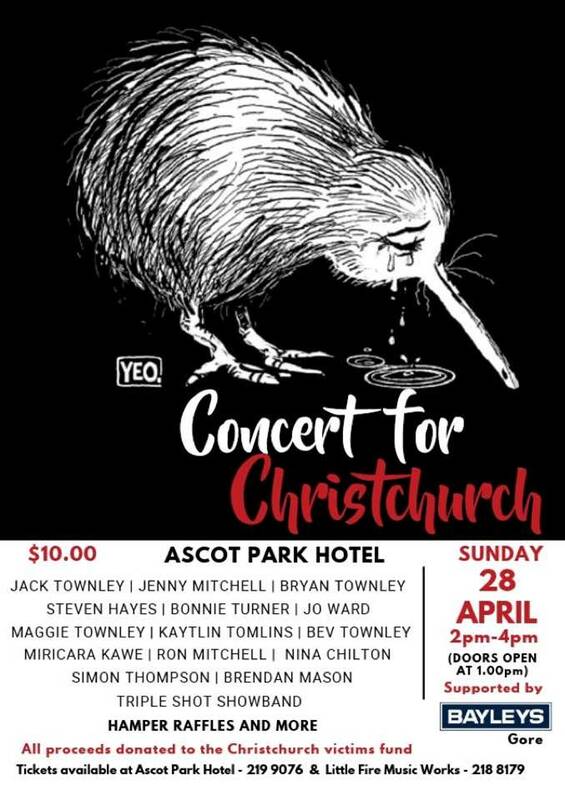 A team of local entertainers and musicians have banded together to put on a concert in order to raise funds for the victims in Christchurch. Get your family and friends together to show your support. Emberz Restaurant new A La Carte Menu and OYSTERS! We have just released our updated A La carte Menu. Executive Chef Simon Henry and the team are constantly developing menu ideas to keep our offerings innovative. Check it out. We look forward to being of service to you. Cheers Bryan and the Ascot Park Hotel team. Copyright © 2016 Ascot Park Hotel, All rights reserved. Cnr Tay St and Racecourse Rd, Ascot.